There’s nothing quite like watching animals frolic in the snow. Tuesday’s few inches of snow made for some great zoo animal action. 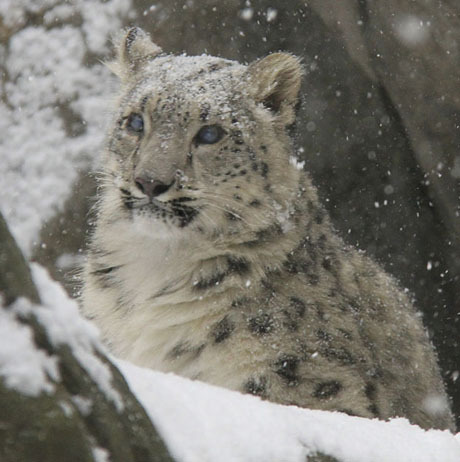 This week’s montage features Central Park Zoo’s debut of grizzly bears, Betty and Veronica and seven month old snow leopard cub, Malala, enjoying her first taste of snow. The snow monkeys and red pandas also enjoyed their first snow of 2015. Come visit. Yes, it is finally here. Spring has sprung – our little lamb is leaping, the ducks are flapping, the monkeys are flying, the swans are whooping and the sea lions are soaring. Come visit! Giving and receiving gifts during the holiday is grand but at the Central Park Zoo gifts are given all year long. This week’s photo montage salutes just some of the Zoo’s arrivals during 2013. The twin snow leopard cubs made their public debut last month and continue to draw happy visitors. The arrival of a young sea lion pup increases our collection to four females. 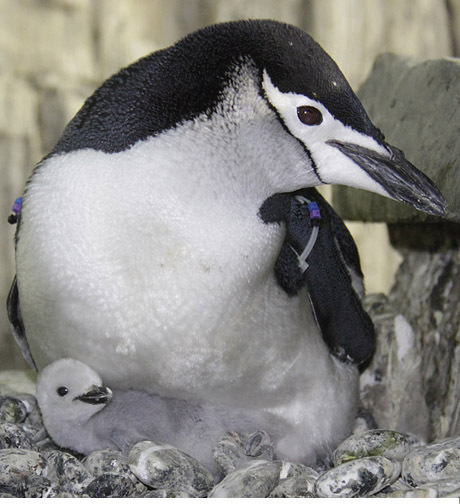 This year also saw the birth of banded mongooses, baby Patagonian cavies, an adorable chinstrap penguin chick, swan goslings, a Victorian crown pigeon chick and a baby lamb. The Central Park Zoo has 23 different duck species on exhibit and has the largest public collection of sea ducks both by number of individuals and species represented in the world. Most of the species are either uncommon in zoos or endangered in the wild. Some of this year’s new hatchlings include both Pacific Common and Spectacled eiders, Long-tailed ducks, Scaly-sided and Red breasted Mergansers, Falcated, Baer’s Pochard and Radjah ducklings. It was a very good year. I cannot conclude today’s montage without including my own special gift, my two kittens, Audrey and Roberta below today’s montage. 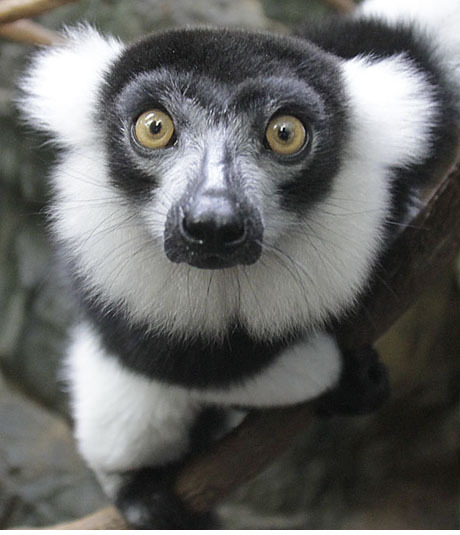 Meet the newest resident at the Central Park Zoo. Little Charlie the sea lion, now lives with April, Katie and Edith in the Central Garden pool. Come see her and our fast growing adorable snow leopard twins soon. The summer crowds have gone and it is a perfect time to have close-up and personal time with our beautiful animals. Take a shopping break this holiday season and bring your while family to the zoo. Introducing my namesakes, Lobo, Zev and Wolfie, three adorable four month old baby Mountain Coatis, who can now be seen upstairs in the Tropic Zone Building at the Central Park Zoo. I might be a bit biased, but I think these three brothers are the cutest things at the zoo. Their neighbors, the Banded Mongoose and the Dwarf Mongoose have been checking them out. 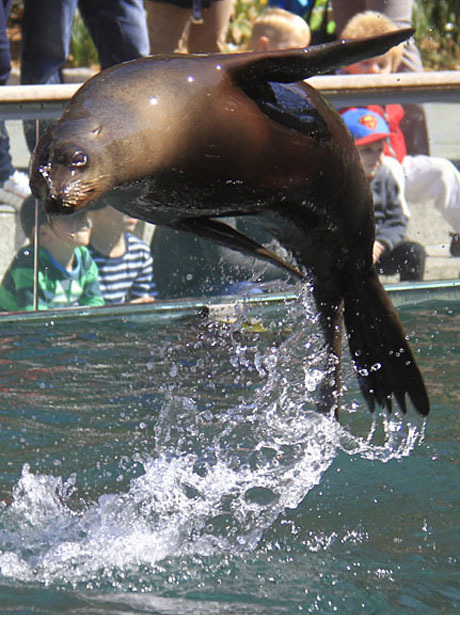 There is lots to see at the Central Park Zoo – come visit. Don’t forget to click on the link below the photos to see my short video of the brothers. If you want to see these photos larger go here.